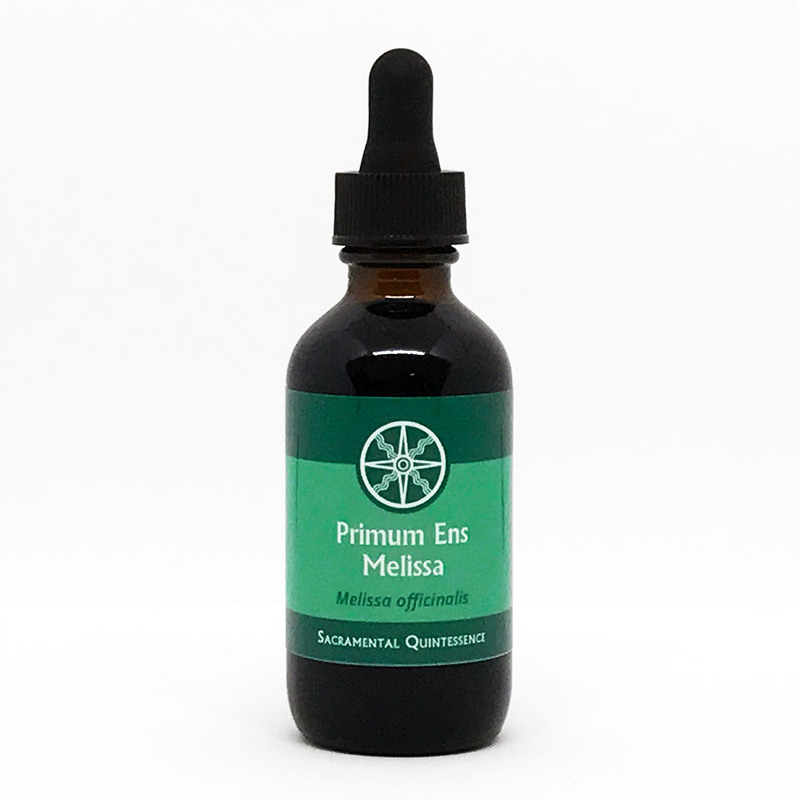 Primum Ens: Melissa, 60ml | Transcendence Works! Primum Ens of Melissa officinalis. 60ml of saturated solution of true alchemical quintessence of Melissa obtained through our sacramental Ens process. The Primum Ens of Melissa (Primum Ens Melissae) is the singularly most renowned alchemical plant quintessence, in the entire canon of adept alchemy texts, due to its psychospiritual and rejuvenative properties. Ingredients: Saturated solution of pure Ens extraction of lemon balm (Melissa officinalis) in 100% pure grain alcohol. Taken in small doses over time it enhances dreaming and dream state activity, such as lucid dreaming and becoming aware in one’s dreams more often. In this instance, start with 5 drops daily in 4 ounces of distilled water or white wine and increase by 1 drop every few days until you reach 10 drops per dose. Increasing over time to substantially increased dosages facilitates the more renowned qualities of the Ens; i.e. noticeable rejuvenation, detoxification of the body, purging of dysfunctions from the psyche, and conscious awareness of the subtle bodies and the beginning of shifting conscious awareness into the aethyric body. In this instance, after going through the process above, continue increasing by 1 drop every few days until you reach 30 drops per dose.